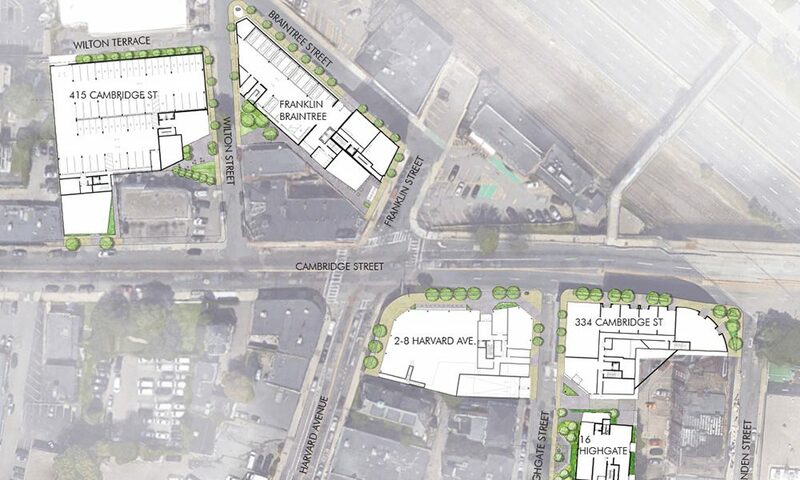 Verdant is working with Embarc Studio to prepare urban design schemes for the redevelopment and replacement of five large buildings at the northern end of Harvard Street in Allston at its intersection with Cambridge Street. 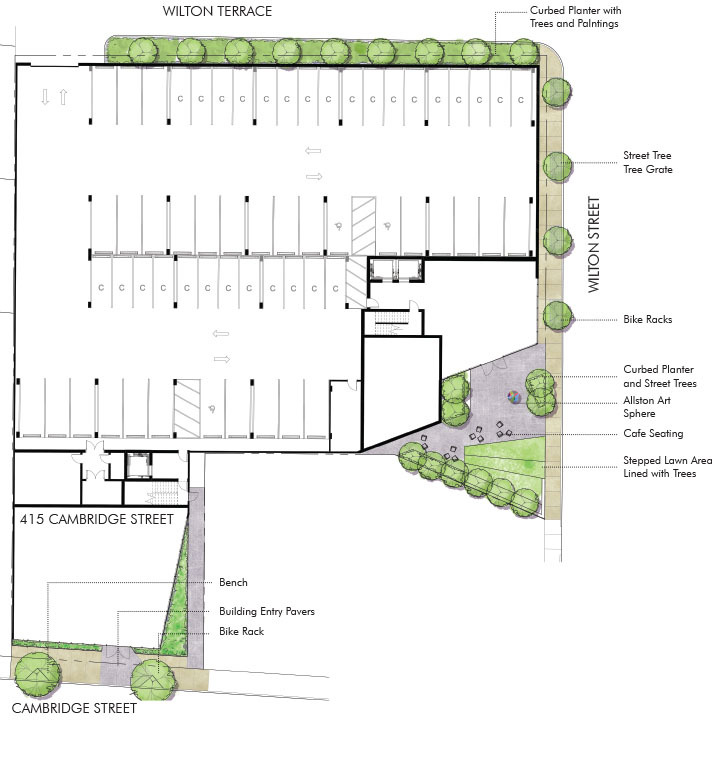 Verdant’s design approach taps into the identity of the neighborhood and the vitality of Allston, creating spaces specifically responsive to the unique context, architecture, and views – as well as following the Boston Complete Streets Guidelines. 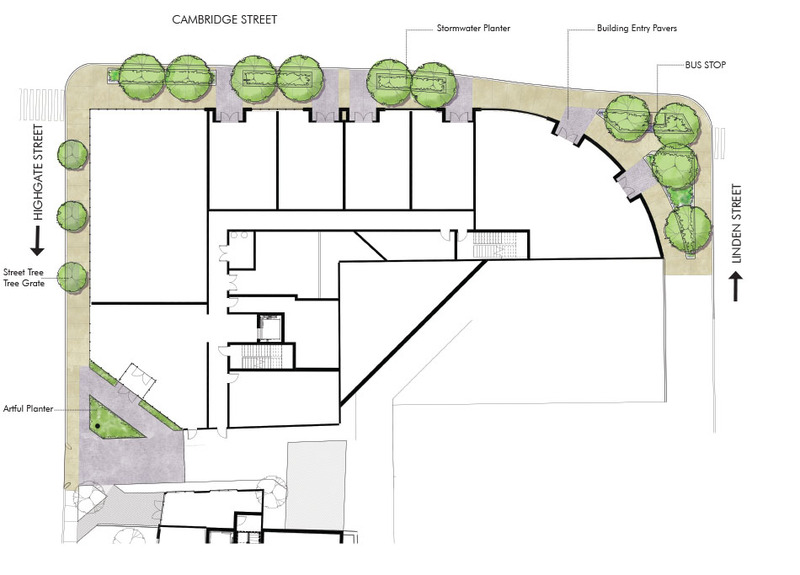 Verdant’s design for the public space employs several strategies to meet Allston’s goal of providing active, vital streets and an activated ground plane. 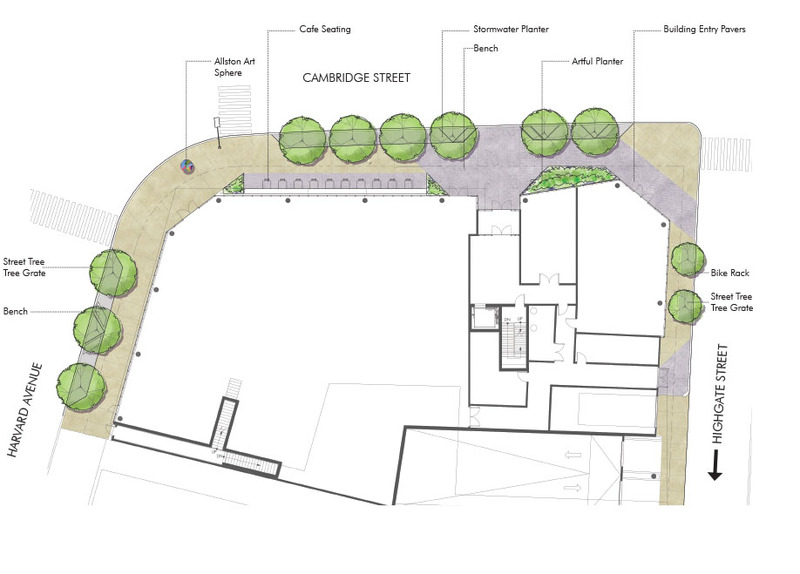 Foremost among them is to promote and encourage pedestrian connectivity through the sites. Each site retains a distinct character and is highlighted by variation in scale, landscape, materiality, and function.